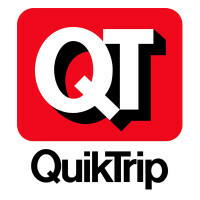 QuikTrip is a chain of gas stations and convenience stores. It has also recently started to offer a range of fresh food from its bakeries and commissaries. To find out how to apply for QuikTrip online, follow the link at the bottom of the page to submit a QuikTrip application. The company has been going since 1958 and is based in Tulsa, Oklahoma. Since its beginning, it has grown substantially and the company now has over 700 different locations in Arizona, Georgia, Iowa, Kansas, Missouri, Nebraska, North Carolina, South Carolina, Oklahoma and Texas and it now has over 17,000 employees. You can now get a wide range of food made fresh to order in their stores. Examples of products are toasted sandwiches, personal pizzas, pretzels, flatbreads and kolaches. These are made by their employees in the attached bakeries. You can also find donuts, pastries and other sandwiches and foods available to buy. QuikTrip is also known for its gasoline. They provide a guarantee on all the fuel they sell, so confident are they in its quality. The company offers a range of different payment products to make things more convenient for customers including prepaid pump cards, credit cards and different business cards. There are numerous job opportunities available in the retail outlets. You can find QuikTrip jobs including Store Clerks, Assistant Managers and Store Managers. There are also careers available in the Bakery, Commissary and Warehouse. There are also many Maintenance positions available for experienced workers. Many of these jobs are entry-level and won’t require much experience. There are many employment opportunities for applicants who would like to apply for roles in the corporate side of the industry. The types of jobs available will be in a range of different departments and mostly require a college degree and relevant experience. You can find roles in Accounting, Administration, Sales and Marketing, HR and IT amongst others. How old do you have to be to work at QuikTrip? You must be 16 years old or over to apply for jobs at QuikTrip, although in some states you will need a work permit. The hours of operation can vary but most locations are open 24 hours a day, 7 days a week. Even for part-time employees there are great benefits to QuikTrip careers. You will be entitled to an Employee Assistance Program, Credit Unions, tuition reimbursement and a yearly bonus at Christmas. Other benefits for full-time employees and part-time employees who have been working for two years will include healthcare insurance and life insurance. There are other perks for full-time employees. Clerk – This is a part-time role where your main responsibilities will include greeting and serving customers as well as maintaining the appearance of the store. Interpersonal skills are very important to this career. You will also need to be able to stand for most of your shift. The pay usually starts at $8-9/hour. Bakery and Commissary Production Worker – For QuikTrip jobs in this area you should be aware that the shifts often begin at 5am and are typically very busy. You will be expected to stick to strict food preparation and hygiene safety standards when you prepare the various products. The average pay for these positions is $10/hour. Assistant Manager – Assistant Managers are expected to be able to run the store in the absence of the Manager. You’ll help the Store Manager by working closely with the Clerks to ensure that they are carrying out their jobs correctly and adhering to the best levels of customer service. The pay range is from $10-17/hour. Store Manager – The Manager has the ultimate responsibility for the performance of the store. You will need to manage sales goals and help staff to achieve them as well as monitor other performance markers. Other tasks will include hiring and training new staff and carrying out inventory. The salary starts at $50k/year. Once you’ve submitted your QuikTrip application, prepare for your interview by reviewing the answers to some common questions. Why do you want to work here? It’s important to be prepared for this question as it may be the first one asked. It always helps to do some research on the company before you go to any interview. Tell me about a time when you worked in a team. This doesn’t have to be a professional team, you can also use examples from your school or college, but always focus on positive experiences. Why should we hire you over the other applicants? Be prepared to talk yourself up and emphasize your strong points, but always make sure that they are relevant to the job description. What is your availability? They will often prefer applications from candidates who are able to fill the shifts that they need, so it will help if you are able to be flexible in your schedule. How would you deal with an angry customer? It’s unfortunate but it may be a problem from time to time. You will need to be able to demonstrate that you are able to handle potentially stressful situations in a calm and professional manner. There is more than one way to submit an application form for QuikTrip. Search for QuikTrip jobs online and you can see a list of the current vacancies. Once you have selected the position you want you can submit an online application form. Most jobs you will need to apply online for, but it’s not necessary for all of them. Instead of submitting a QuikTrip job application online you can also make a direct application to your local store in person. Head down there with your resume and request a free application from the manager. There isn’t an option to download a printable application for QuikTrip. If you apply in person remember to make a good first impression with the manager. For some positions they may require you to take a math and English test before your interview to assess your skills in those areas. Most candidates will be asked to have a brief phone interview first to verify their enthusiasm for the role and check that they understand what will be expected of them. For a face-to-face interview it’s important that you turn up well presented and dressed smartly, although it probably won’t be necessary to wear a full business suit for entry-level positions. In your interview, make sure you smile and make eye contact with the person interviewing you. Always answer their questions in complete sentences. Circle K: See this page for jobs at Circle K.
Casey’s General Store: See our guide for careers at Casey’s General Store. Texaco: Visit the Texaco application. Hess: Visit the job application for Hess to apply today. Kwik Shop: See our guide for careers at Kwik Shop.